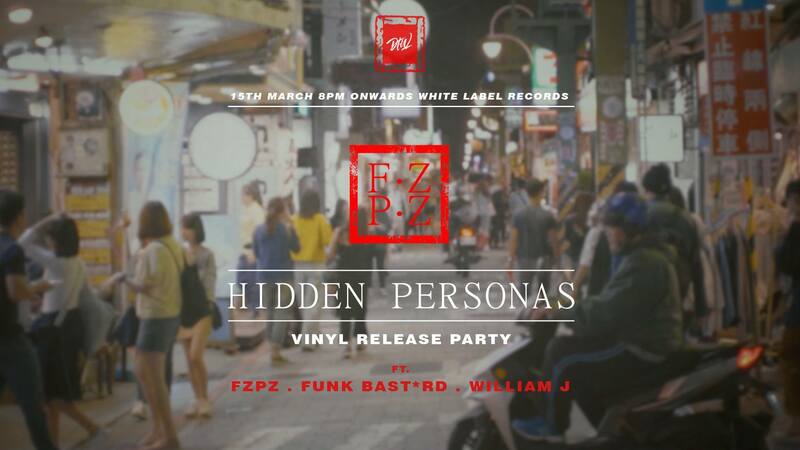 Singaporean producer Fzpz will lift the shroud over vinyl copies of his debut EP Hidden Personas later this month at a release party held at White Label Records. Homegrown champions of left-field electronic music, Darker Than Wax, will be hosting the proceedings. Released in May of 2018, the EP has since been esteemed by globally resounding names such as Gilles Peterson, Lefto and Jamz Supernova for its expansion and reconfiguration of the canons of soul and jazz. Now, the music will be immortalised in a very limited run of 12" vinyl records, featuring artwork designed by Fzpz and DTW co-honcho FUNK BSTRD. Look out also for sets by Fzpz, FUNK BSTRD and William J on release day. The Hidden Personas vinyl launch happens at White Label Records on Friday, 15 March, from 8pm onwards.